A citrus design that still makes my mouth water every time I look at it. 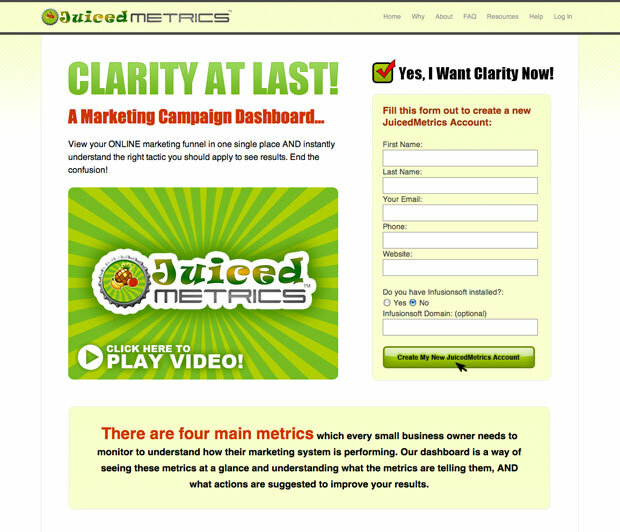 I was hired to redesign the front end sales and info part of this campaign tracking tool. I worked from the logo and the little soda-bottle caps icons from the previous design. I am pretty happy with the way the design turned out. Lots of custom graphics and color, the sales funnel was custom designed to have a nice flow and be pleasing to the eye, leading the potential customer to the call to action and then through to the step-by-step tutorial. I can’t think of a more easy way to lead someone by the hand through the process.